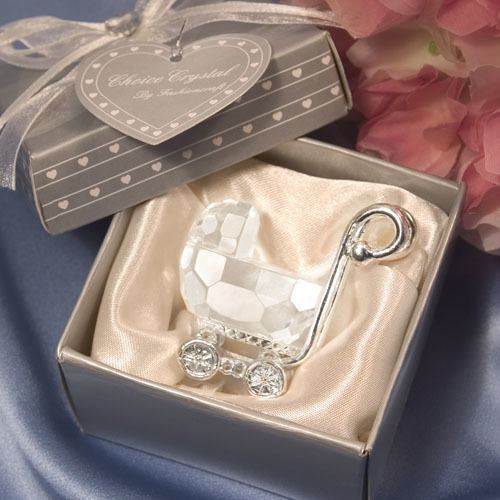 Whether your looking for baby carriage baby shower favors or christening favors, or a beautiful way to distinctively announce your baby's arrival is to gift your guests with these exquisite crystal baby carriages! 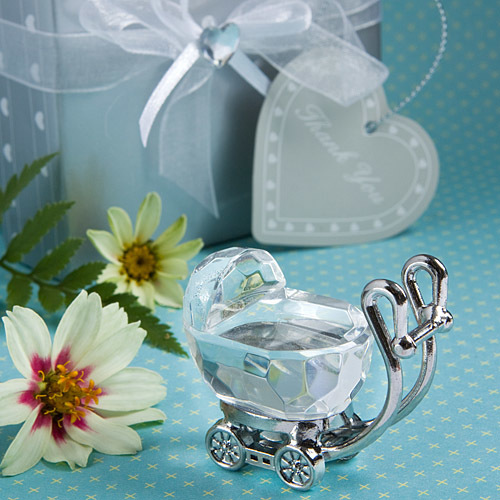 Each brilliant favor is approximately 2" and features a skillfully faceted crystal carriage with accenting chrome embossed metal handle and wheels. Surrounded by satin inside a Choice Crystal signature silver heart design box (2.75" x 2.5"), tied with an organza and satin bow with a crystal heart on top and an attached matching heart shaped tag, these favors make for a stunning presentation.